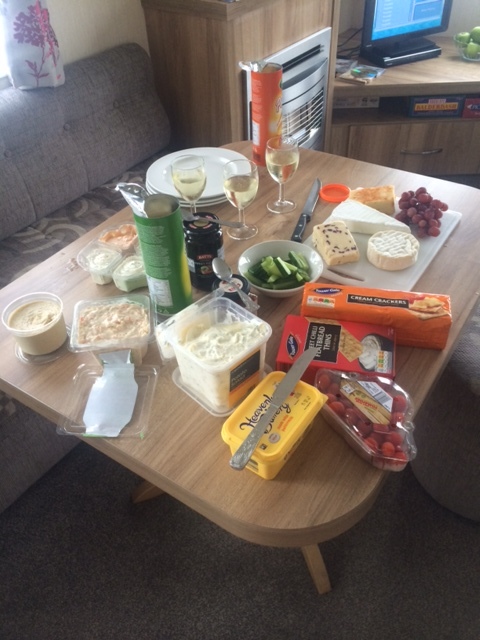 What I learned on my caravan holiday. 1. Say good bye to your privacy. You can have full conversations from opposite ends of the caravan. This also means that you become very aware of how ‘regular’ your friends are; the toilet doors are not soundproof. On the plus side, you never have to feel left out! 3. You really cannot rely on the British weather. 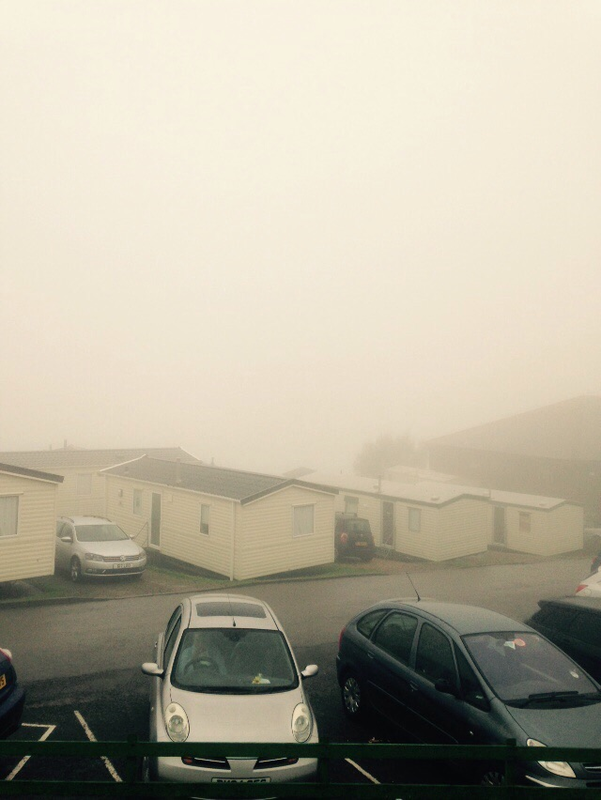 This picture is of the beautiful sea view that we didn’t know we had until the third day. 7. 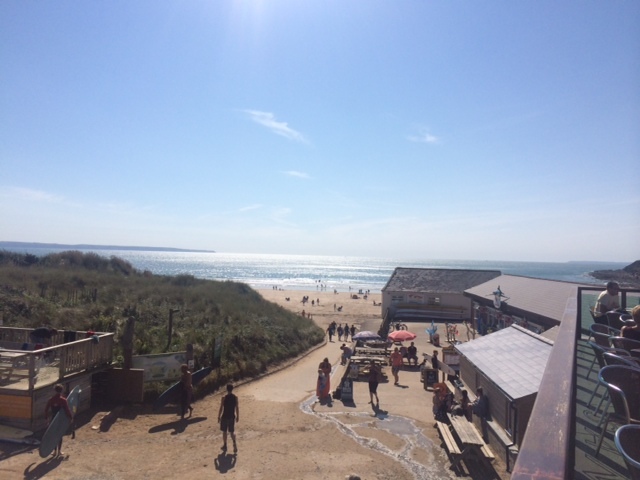 The west coast of England has some truly beautiful coastlines and beaches. 9. It is possible to drink a lot of wine. In fact, it’s easy. 10. 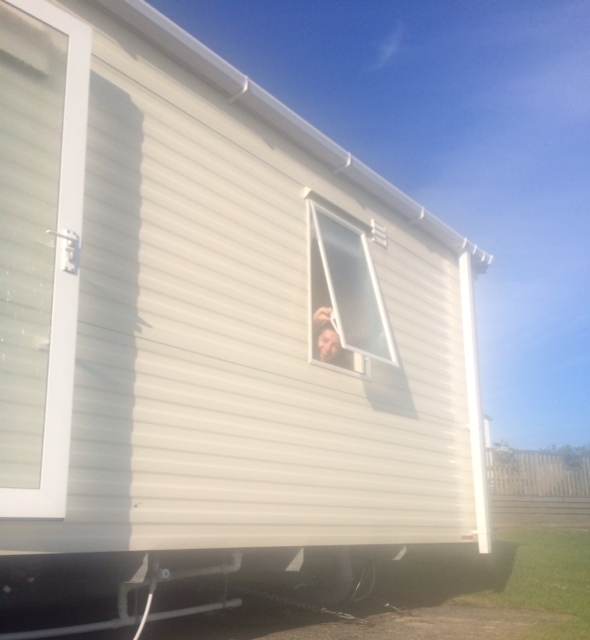 That, actually, ‘slumming it’ in a caravan was a lovely idea. It was warm, clean, with hot running water, a sizeable bathroom with a double shower. We’re going back next year, only we’re planning to upgrade… who needs gold when we can go platinum. Forget the picnic rug, we’re getting a veranda. It looks lovely! The pretty view, not the wall of mist and rain. I always enjoyed caravan holidays when I was a child, think it would be great to experience it as an adult with a group of friends! Plus, there’s all that wine to be had.